A well-balanced yoga session to the sound of the breath and music that will make you groove. The word ‘vinyasa’ is derived from the Sanskrit term nyasa, which means ‘to place’ and the prefix ‘vi’, means ‘in a special way’. Vinyasa is a flowing sequence of specific asanas (yoga postures) coordinated with the movements of the breath. Vinyasa yoga requires that we cultivate an awareness that links each action to the next – one breath at a time. A great starting point for beginners, the Essential Matwork class teaches the Five Basic Principles of the STOTT PILATES method and builds a foundation of exercises required to move on to the next level. This mat-based workout is designed to help participants develop leaner, longer-looking muscles, establish core strength and stability, and heighten mind-body awareness. Props may be incorporated to add variety. Participants are welcome to stay in the Essential classes until they feel confident enough to enter the Essential/Intermediate class. Class capacity is limited 8 participants. For more challenge, Matwork classes at the Essential/Intermediate level will take you through a dynamic, full-body workout that focuses on improving flexibility and core strength, with exercises that stretch and tone all muscle groups. Programming may vary from session to session to include, Flex-Bands, Toning Balls, Rotational Disks, and Fitness Circle® Resistance Rings. Class capacity is limited 8 participants. Experience pranayama and the balance of both sun and moon energy throughout this energizing and relaxing yoga practice. Discover the balance of both sun and moon poses, of the breath required to flow through the poses while maintaining the traditional principles of alignment and mental discipline. Mind, body, and spirit!. A yoga session with traditional Thai Yoga Massage roots to help one release stress and feel connected. Enjoy this unique session with appropriate teacher hand-on adjustments to help you feel the delicious benefit of the pose, relieve stress with breathing and chanting, and increase body awareness. Yoga with blocks, straps, balls, bolsters and blankets. Improve body awareness and strength. Have you tried placing a block in-between your legs in downward dog? Try it and feel the difference and the direct immediate benefit you receive. This works very well for the hyperflexible participants too! Power Yoga involves synchronizing the breath with a series of postures (asanas) to some groovy world beat sounds. Each asana is linked in a special way using the breath, rhythmic pulsations, and stages of sequencing (kramas) linking each asana intelligently towards a specific peak pose. This process of sequencing producing intense internal heat and a profuse, purifying sweat that detoxifies muscles and organs. The result is improved circulation, a light and strong body, and a calm mind. Double your pleasure! Enjoy this yoga session designed to make you feel good on the golf course, at the driving range, and in the present. This session incorporates flexibility, strength, balance, core conditioning, pranayama or breathing awareness, teaching focus, relaxation and visualization techniques all for the love of golf. Feel better and play longer. 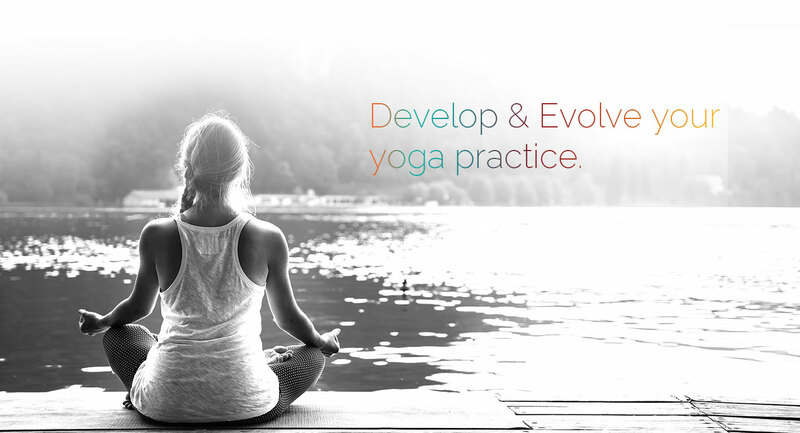 Yin Yoga is a slow, passive practice that stretches and stimulates the connective tissue rather than the muscles, so enabling deep opening, particularly in the hips and spine. Postures and are held for an extended period of time (anything from three to ten minutes). This style is relaxing and revitalizing, and is equally appropriate for beginners and experienced yogis. The Apana Yoga Wheel practice is designed to develop core and stability. Learn how to deepen your yoga practice in this fun-filled session using the wheel with familiar yoga poses. Yoga with the wheel will enhance and deepen your ongoing practice; it may very well be an indispensable new tool for your practice. Great for your core, stability, balance and flexibility! A restorative yoga sequence typically involves only five or six poses, supported by props that allow you to completely relax and rest. Held for 5 minutes or more, restorative poses include light twists, seated forward folds, and gentle backbends. Most restorative practices are based on the teachings of B.K.S. Iyengar.